TotalCtrl eliminates food waste in grocery stores through a software that makes expiration data more valuable. If you would love to here about their battles and journey stories, check out the interview to her co-founder below. Blue haired hard working female engineer that loves building and love learning new things. Tell us about the TotalCtrl project. What is it about? What’s the problem you are trying to solve? 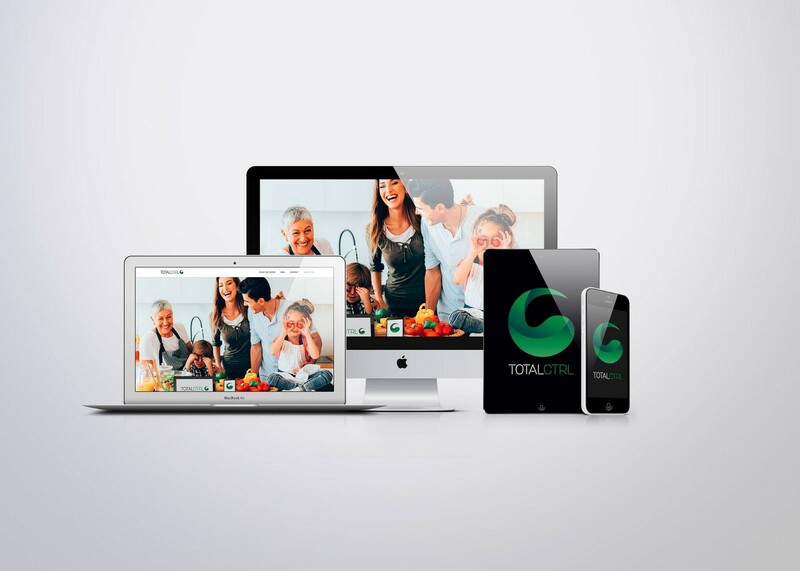 TotalCtrl was started based on the founders’ own experience dealing with food waste when working in grocery stores. Globally, food waste is a big problem, not only for the planet and people but also for business. Every year we waste food worth 1 trillion dollars. Food that could feed 3 billion people yearly and if food waste was a country it would be the third largest emitting country in the world. Food waste has to be one of the dumbest problems in the world. 40% of global food waste comes from consumer-facing businesses such as retail groceries. The global retail industry loses about 10% of their income due to food waste and an average grocery store spends 8–12 hours on food waste management per week. The main reason for food waste is the expiration date, or more specifically the lack of control over the data source that the expiration date is. 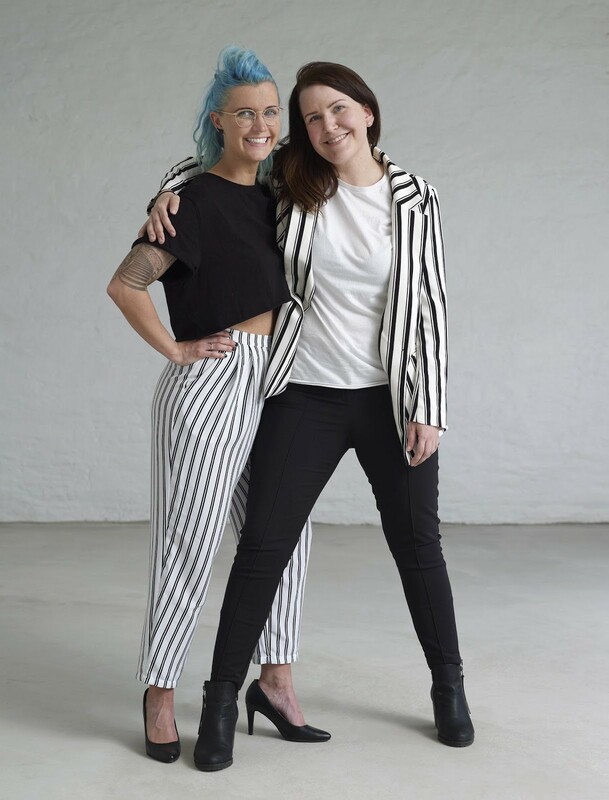 Charlotte & Ingrid — Co-founders of TotalCtrl. How did the project of TotalCtrl start? What inspired you to make it happen? The first-hand experience with the problem made me look for solutions. In December 2017 we (my co-founder and I started TotalCtrl), based on own experience from the industry we started making an expiry datebook. I learned how to code via YouTube and started digitizing this book. My co-founder, Ingrid, has worked as a grocery manager and is the industry expert. We did our market research and started testing a solution that would help reduce food waste and simplify processes. Our inspiration has always been that wasting already existing resources is not logical. Is this your first startup project? How much impact do you consider the project has made until now and what’s your long-term vision? Depending on how you measure impact. We have gone from a team of 2 people to 15, so we are creating jobs. We have customers and have started making money. We have proven that our technology reduces food waste. TotalCtrl’s mission is to provide technology that reduces food waste throughout the value chain to save money, resources, people and the planet. Our vision is to create a faster, fresher future. Our aim as a company is to build a successful commercial organization and be recognized as the leading digital food waste reduction company globally. Based on your current experience, what would you recommend to aspiring entrepreneurs at the start of their projects? Learn, learn, learn. Be smart. Hire the best people, use your money wisely and have fun. Make sure you learn from people that have more experience and better skills than you, find free office space, attract students, interns and advisors. Sell before you build. Make sure you are solving a need that people are willing to pay for. Is there any podcast, book or reference you’ve been following during the process of building your project? Yes. Not having previous experience being an entrepreneur I had to learn a lot. I am not that keen on reading so I listen to audiobooks, watched shows and movies. I have seen just about every episode of Shark Tank, Elevator pitch and would recommend books like “Zero to One”, “Disciplined Entrepreneurship”, “The Law of Success” and “Screw it, let’s do it” just to name a few of them. Do you have any favorite founder story (story of an inspirational person or company) that you would like to share with us? I would say that Amazon is one of my favorite company stories, but I like the craziness of Steve Jobs and the visionary Elon Musk. The story from Barbara Corcoran, the founder of New York’s largest real estate company, is an inspiring one. Shortly Barbara’s ex-husband told her that she would not result to anything without his help. She used that as motivation and turned out great. Could you please mention some project failures, if you have any, and what caused them? There are so many. We have hired the wrong people, we have developed features that the customer did not want, we have spent money on the wrong things and we have used too much time on things with little or no value. Luckily now we have a team of amazing problem-solvers so we have been able to fix things. But I don’t regret the problems because we have learned a lot from them. On the contrary, could you tell us about your successes? There are so many :D We are ranked as a top global digital retail innovation company, alongside Amazon and Walmart. We have been named one of the most inspiring food waste changemakers in Europe, we have received a personal letter from the crown prince of Norway for our contribution to society, graduated Founder Institute and global entrepreneurship training. Positioned as an industry expert and food waste mentor. We have been asked to go to India to help advice in regards to food waste prevention in the fish industry. We have built a team from 2 to 15 people. We are a diverse team, both in education, experience, gender, and nationalities. We have started making money and we are well on our way of creating a company that creates value for the planet, people and profit. How can aspiring entrepreneurs/writers reach you for more questions or pieces of advice? Yes, please do. If I can be of help I would love to answer your questions via email (charlotte@totalctrl.no).